This a guest post by Tara Claeys (taraclaeys) of Design TLC, LLC. When she’s not working, Tara enjoys cycling, running, watching movies and spending time with friends and family. Ginny Wright started an outdoor boot camp fitness business, Body By Ginny, in Arlington, Virginia in 2003. The business grew and Ginny expanded into nutrition and wellness coaching. As a result, she began offering “Challenges” on printed sheets to her clients a few years later. They could track their daily wellness activities (nutrition, fitness, and mental health) on the sheet, giving themselves points for good behaviors and subtracting points for negative activities. This “game” became popular among her clients, just as online wellness communities started offering similar experiences on websites and apps. Tara Claeys, a fitness client and friend, offered to help Ginny expand her existing WordPress site by adding a membership component, allow commenting to create interaction between members, and also include the ability for people to track their “Challenge Points” online using a Google Spreadsheet. This was the rudimentary beginning of the online program for her Challenges. Limit submission to same day after 8pm until next day until 5pm. Tara hired Tom Ransom of One Big Idea to help develop a custom plugin that would connect MemberPress with BuddyPress. They chose BuddyPress because is primed for multisite configuration, it worked well with MemberPress, and is very customizable. Plus, the BuddyPress Groups functionality was a good fit for the separate Challenges. For TWC, each Challenge is a unique BuddyPress Group, set up on the front end by the admin. 1. Nutrition: Players can earn up to 12 points per day. Everyone starts the day with 5 points, and can gain points for positive food choices, such as avoiding white flour, eating 3 cups of greens and drinking a specified amount of water based on their weight. Players lose points for unhealthy choices, such as eating too much sugar, eating processed foods, and consuming more than one serving of beer or wine. 2. Fitness: Players can earn up to 2 points per day. They earn one point for doing 30 minutes or more of exercise per day and another point for stretching for at least 10 minutes. 3. 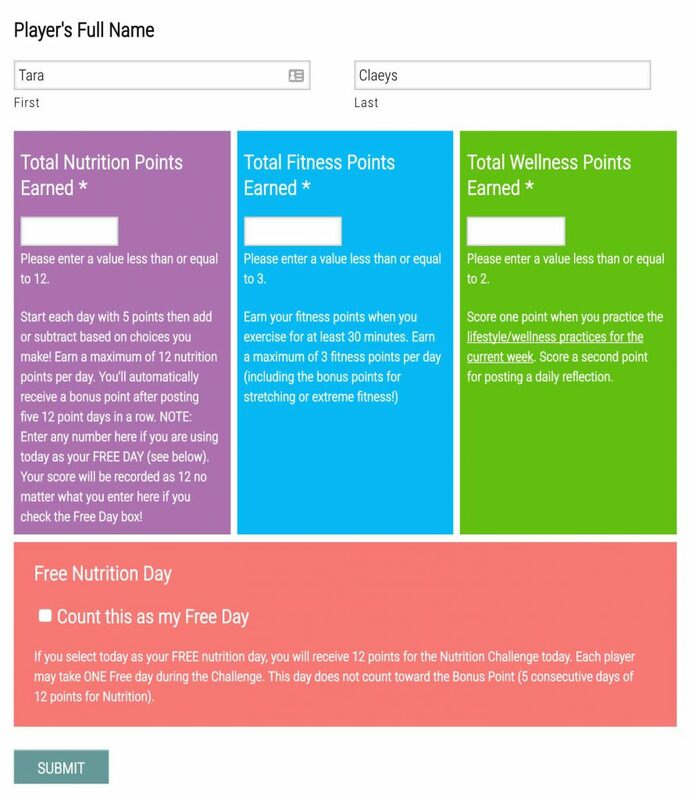 Lifestyle: Players earn one point for posting a daily Reflection on the twcfit.com website, and a second point for participating in the lifestyle challenge of the week. Each week, a different lifestyle activity is listed, including behaviors such as noting 3 things you are grateful for each day, getting 7 hours of sleep, or doing an act of kindness for someone. A maximum of 2 lifestyle points can be earned each day. The participant can go to the Totals page to check their score against other players. In addition, a separate twc-utility plugin hides some BuddyPress content that is not needed and redirects login to BuddyPress. The site also uses the BuddyPress Custom Profile Menu and Custom User Profile Photo plugins. Over the past 13+ years, Ginny has hired 4 instructors, expanded her business to McLean, Virginia, and wrote the “Good Food Recipe Book” which is available for sale on her website. At this time, Ginny is still deciding whether she wants to invest in marketing Total Wellness Challenge or keep it small, mostly based on word of mouth. The increased competition in this space has made it harder to gain exposure without a large marketing budget. The Total Wellness Challenge website has been running well for a little over a year. Six Challenges have been conducted so far, and participants have loved interacting with each other. Tara and Tom are happy with the positive feedback on their customized “gamification” of BuddyPress and how it has helped provide additional clients and exposure for Ginny’s outdoor boot camps.